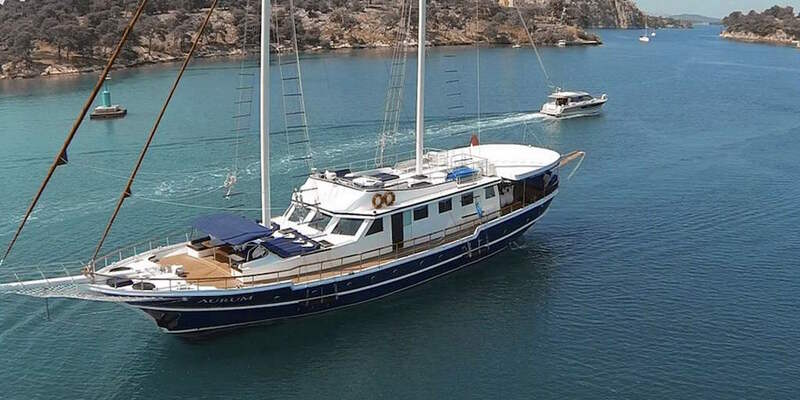 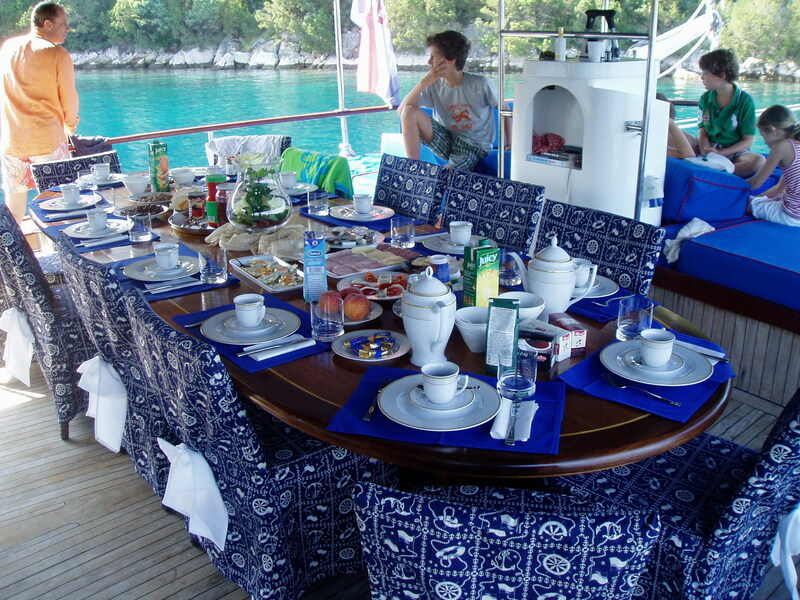 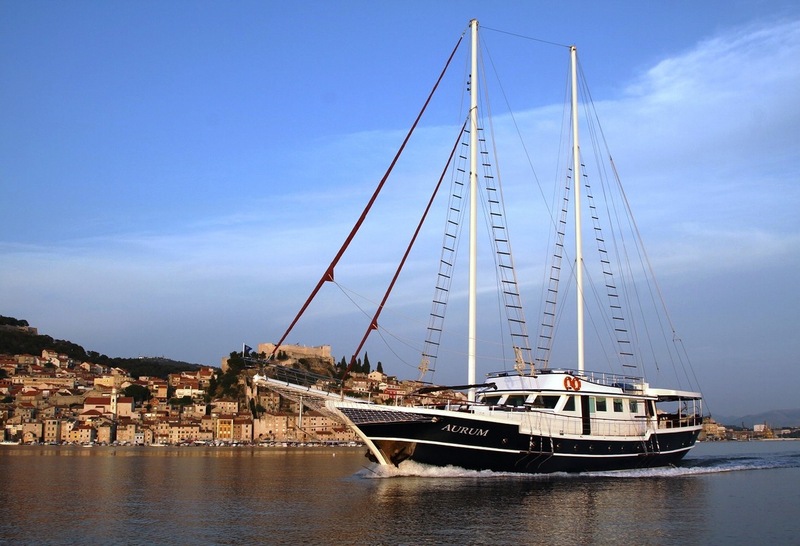 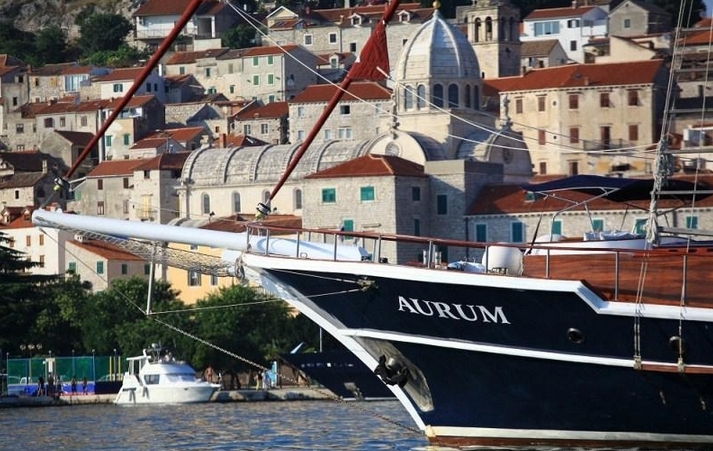 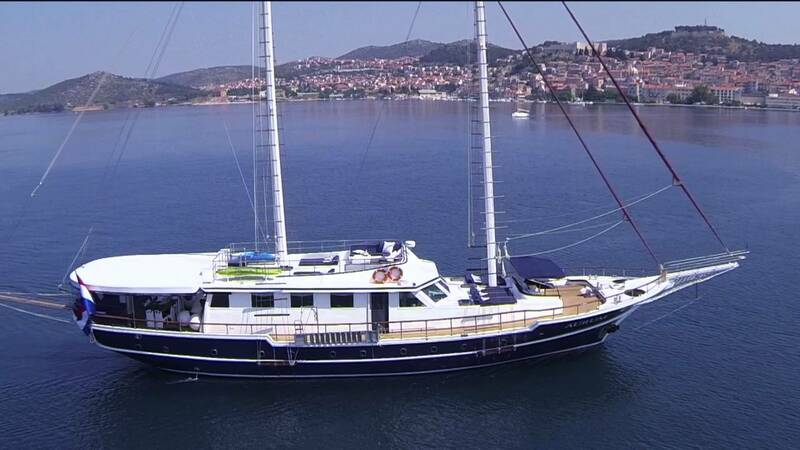 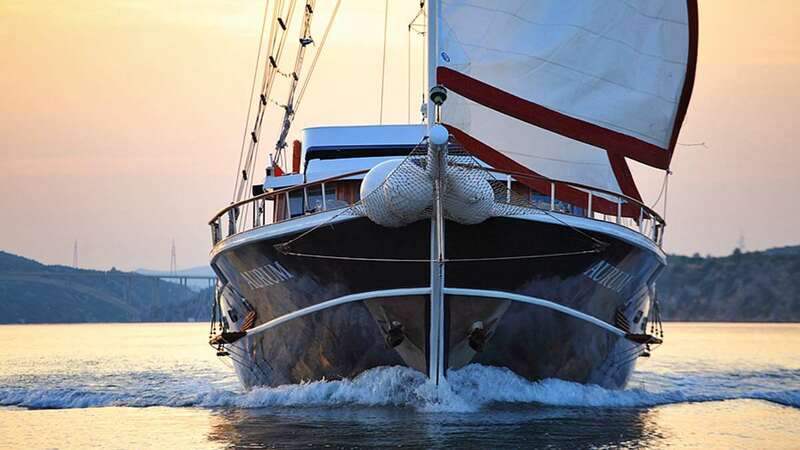 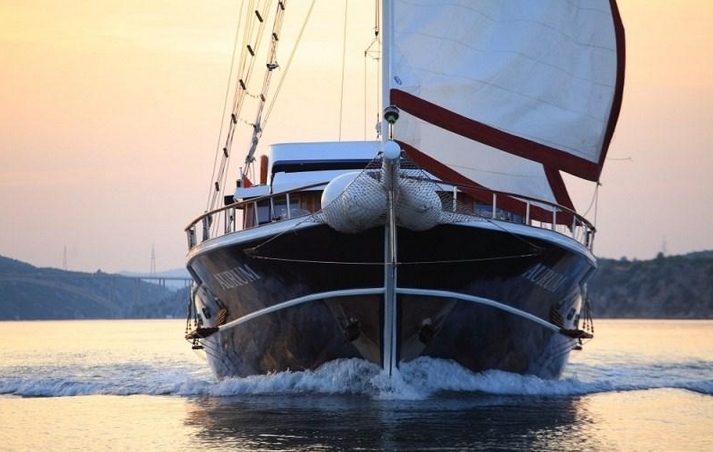 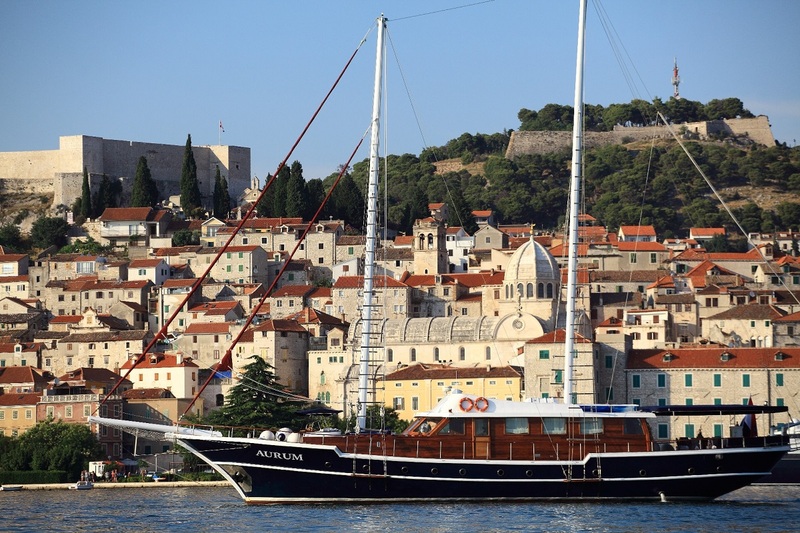 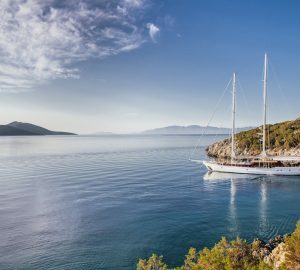 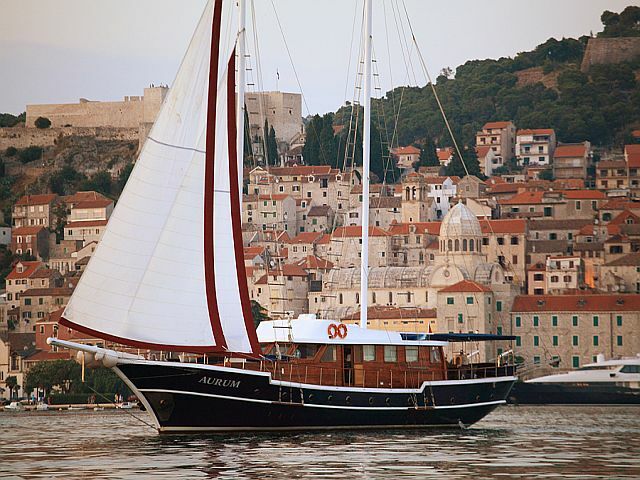 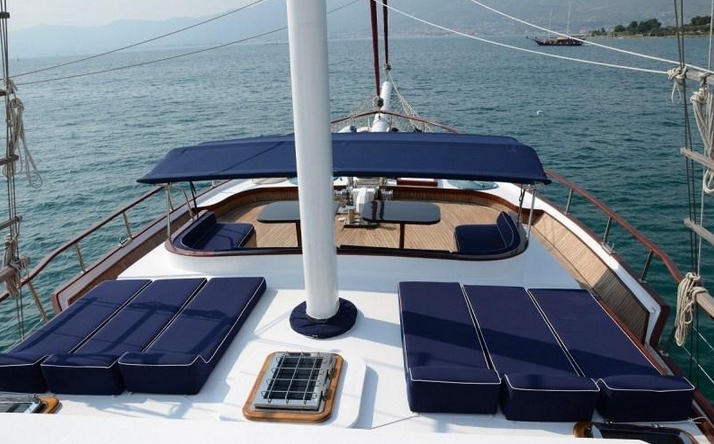 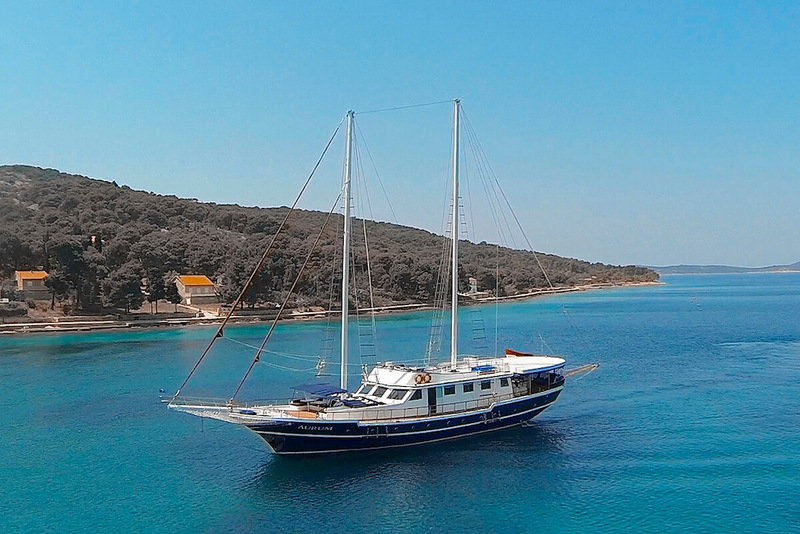 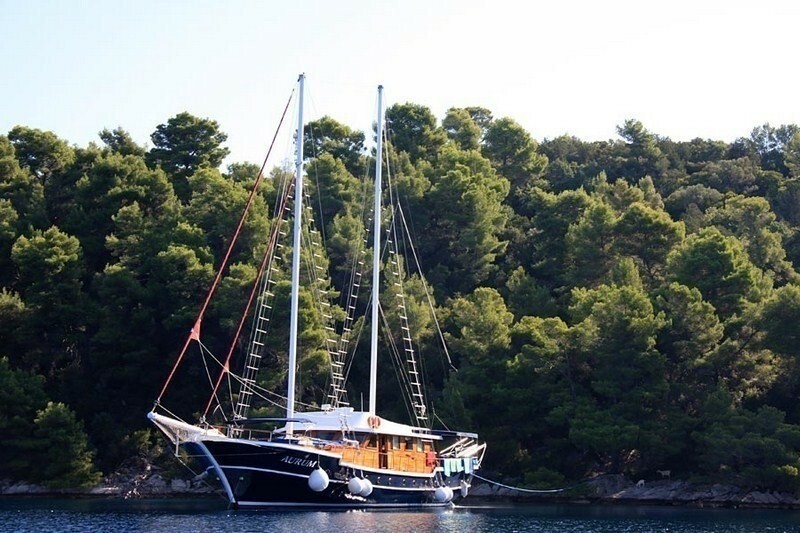 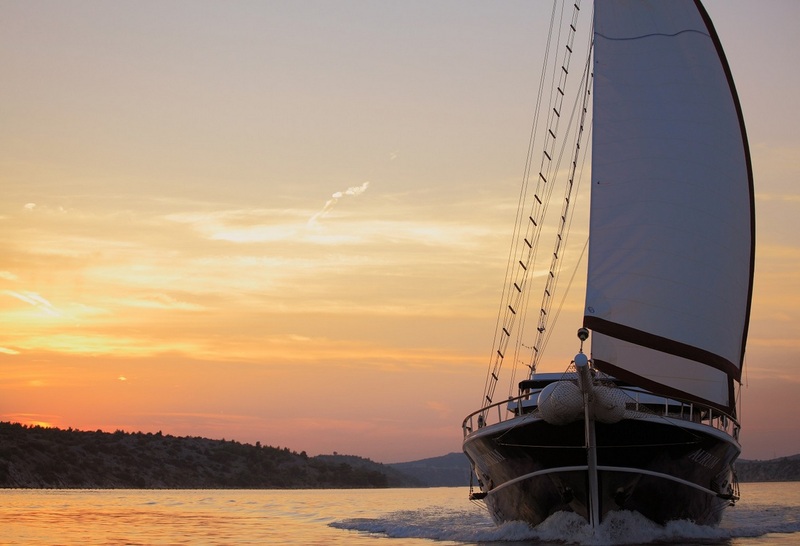 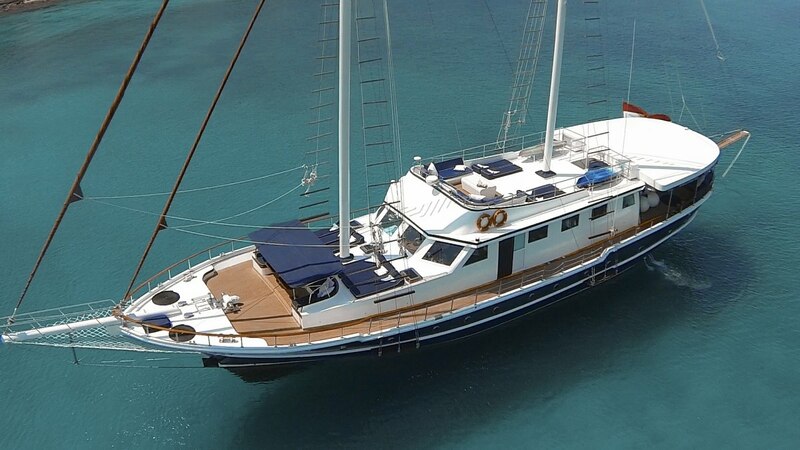 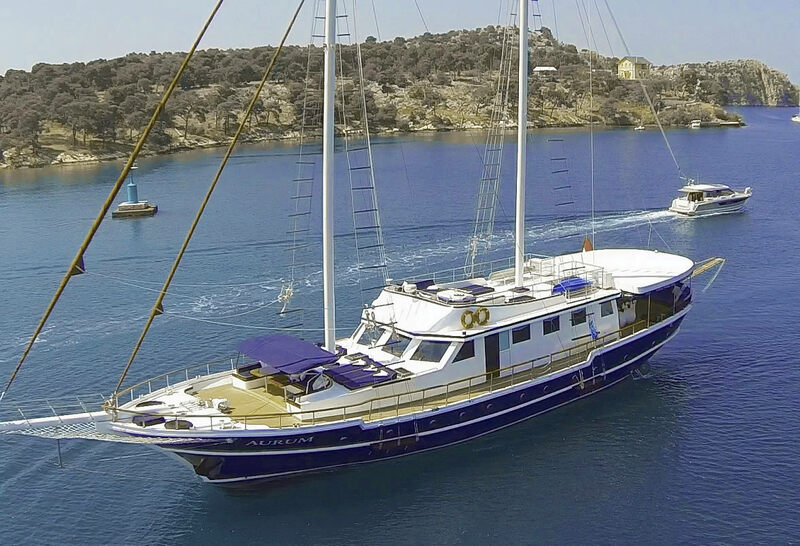 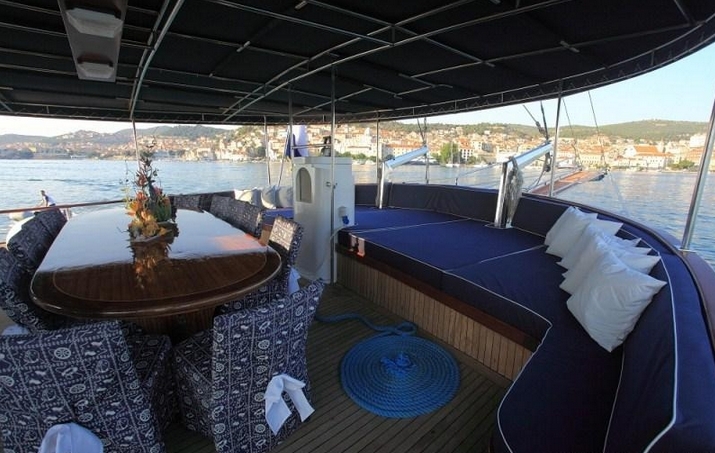 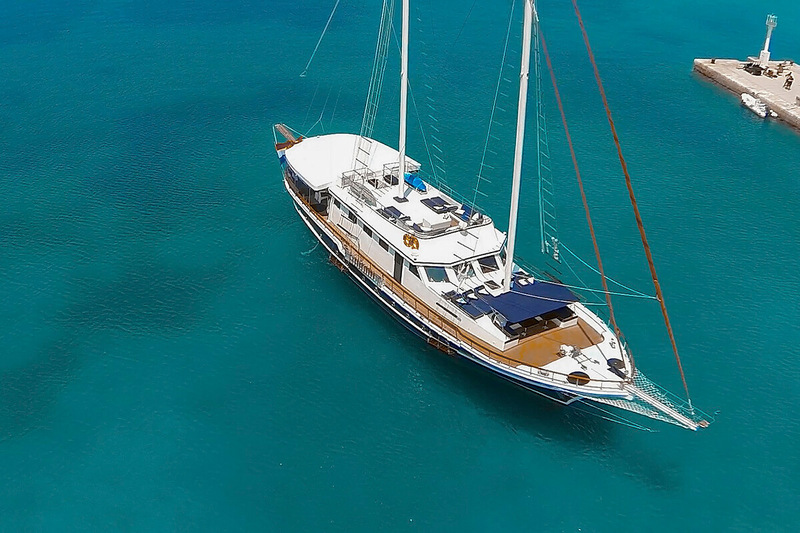 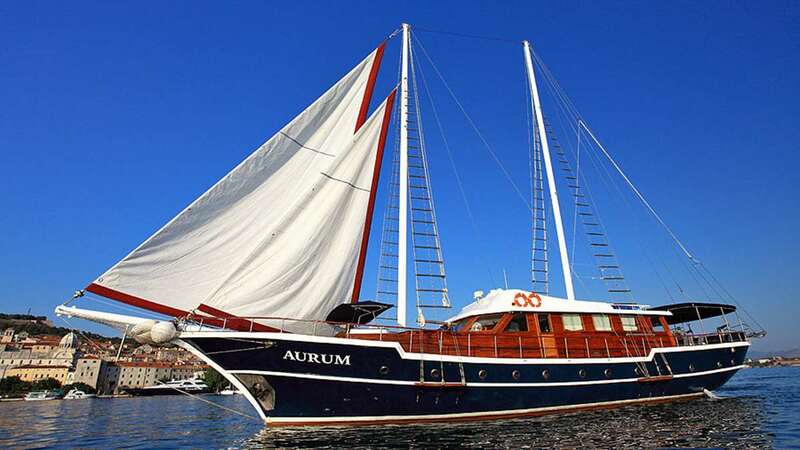 AURUM is a 28.5 meter (93.5ft) Gulet, built and launched in 2006, she offers 6 cabins for up to 12 guests. 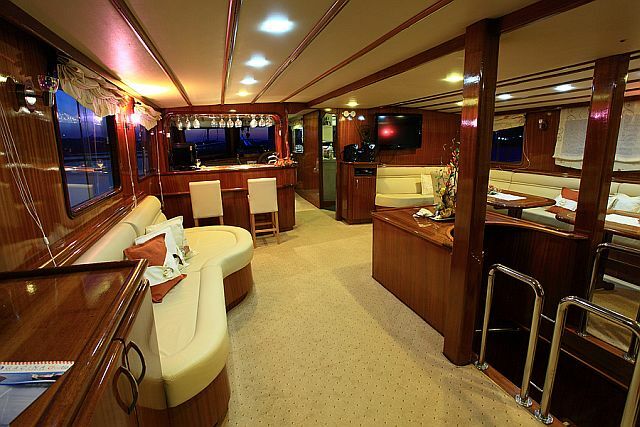 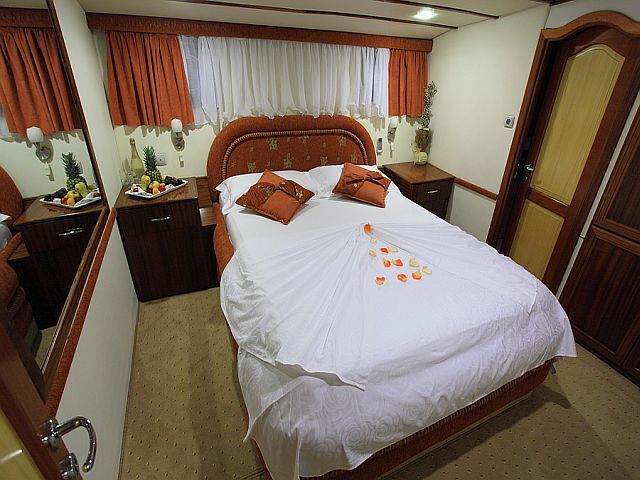 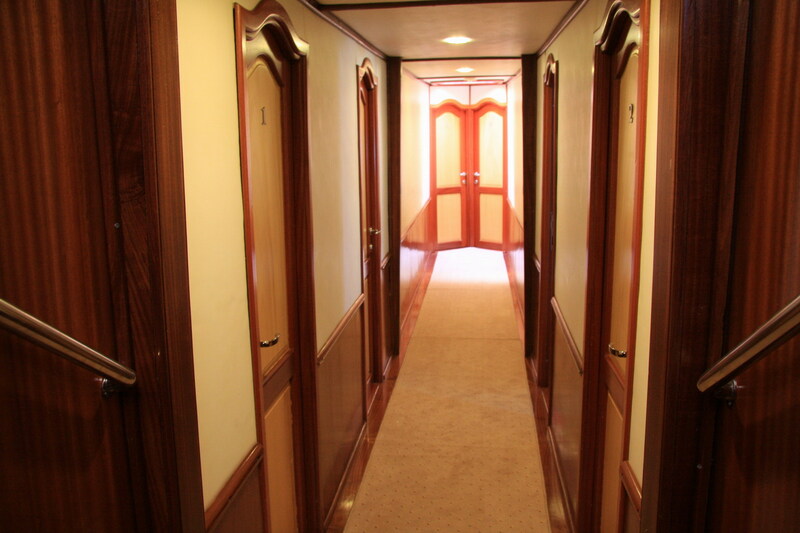 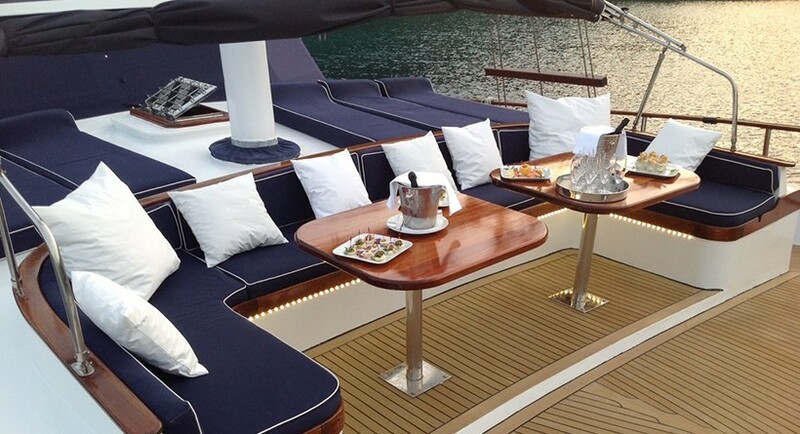 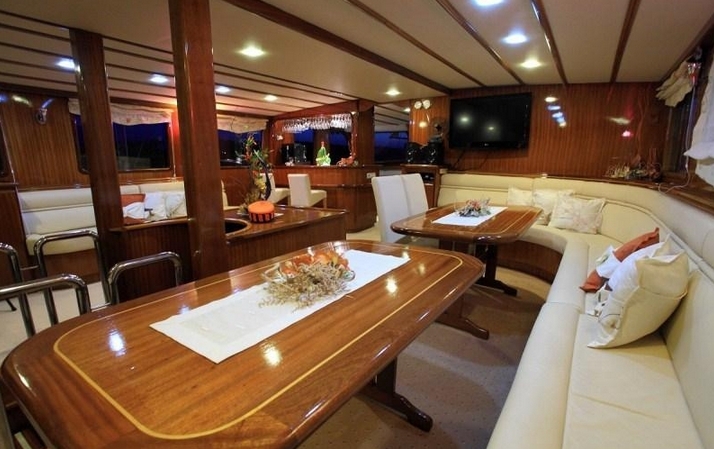 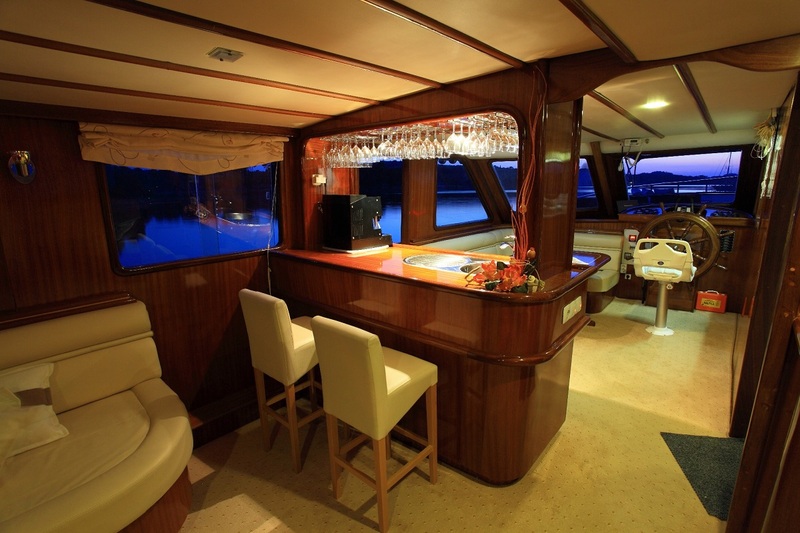 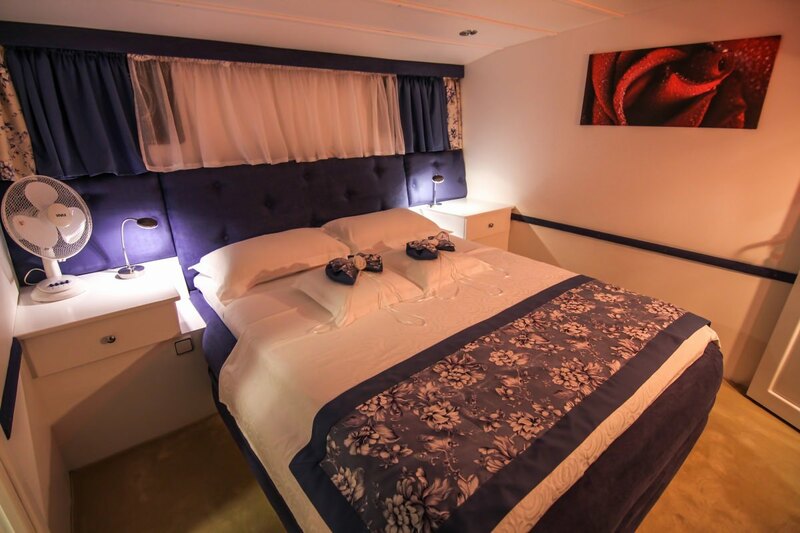 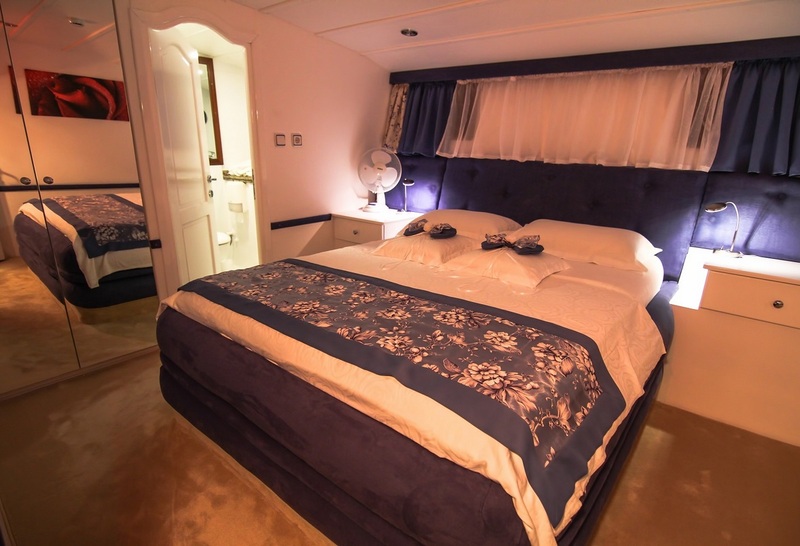 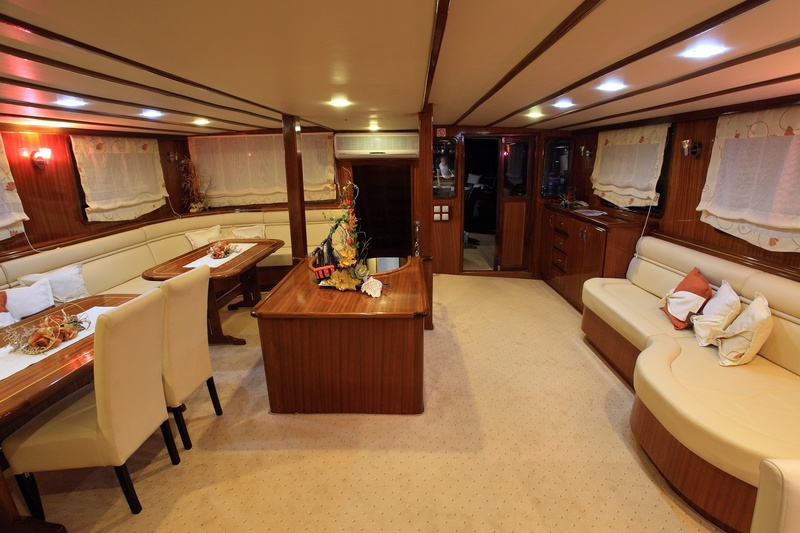 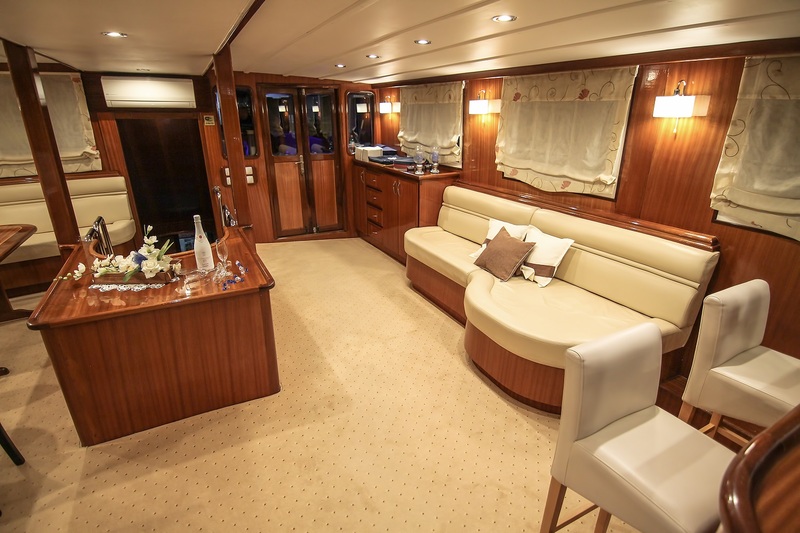 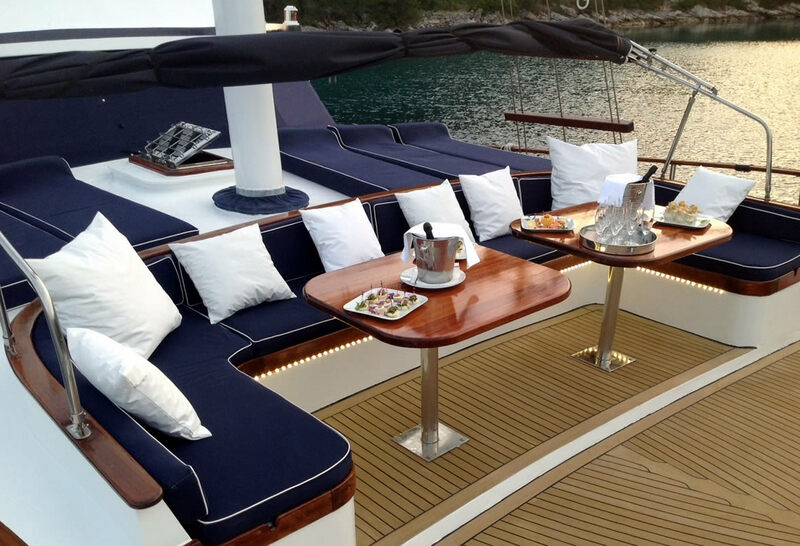 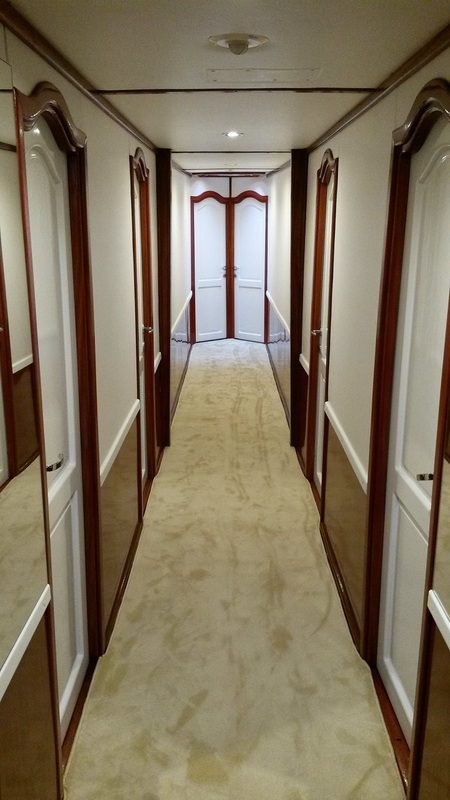 S/Y AURUM has a stylish interior with mahogany woods accented with gold trim and light panels, the soft furnishing are a clean neutral tone. 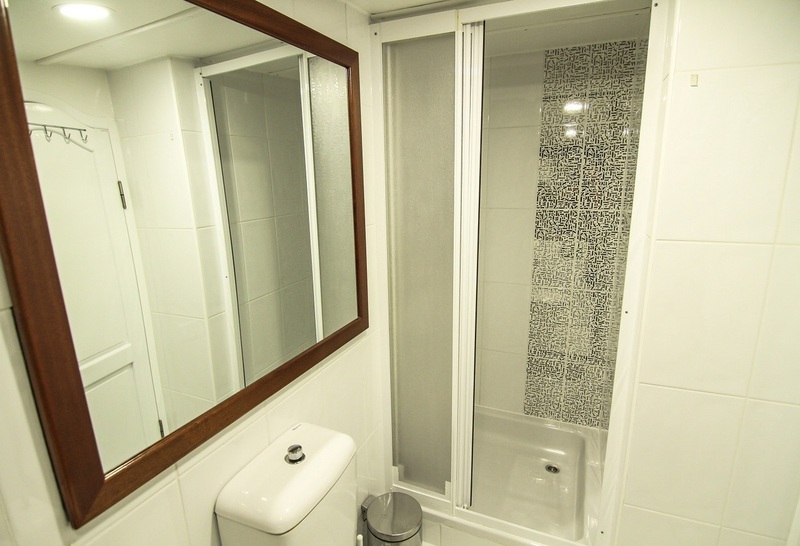 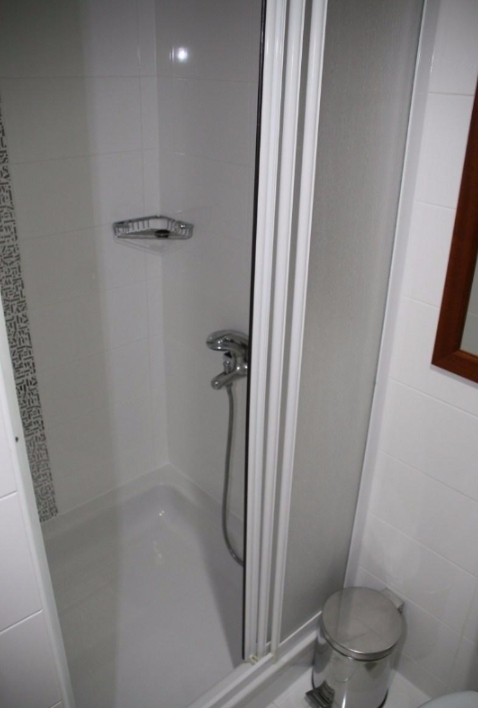 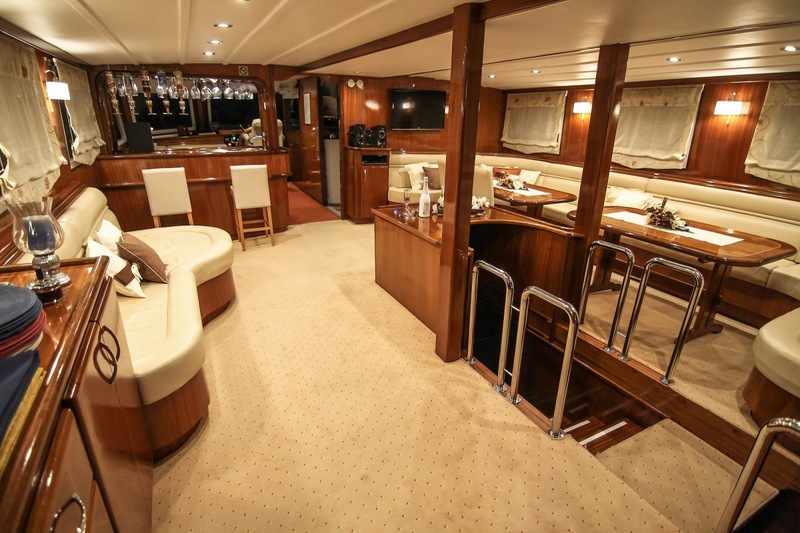 The salon is spacious with ample seating and tables including the formal dining space, a large settee and a drinks bar also complete the area. 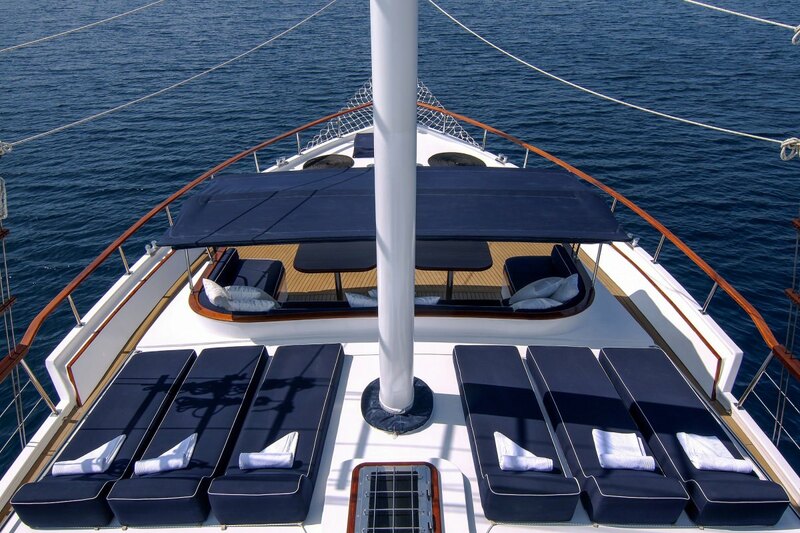 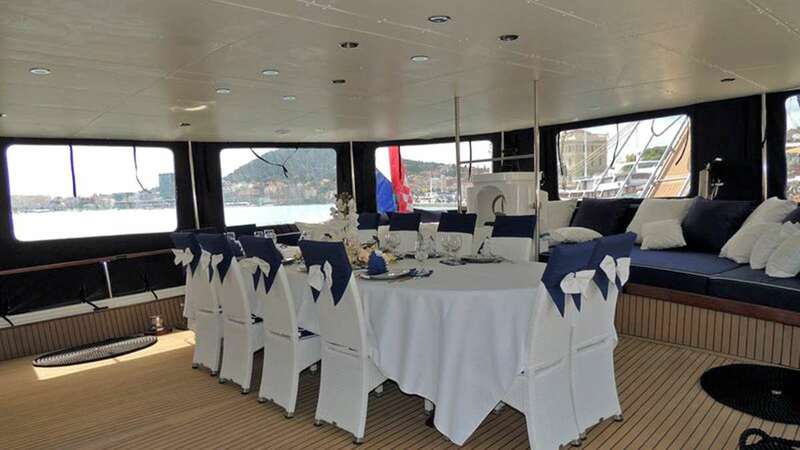 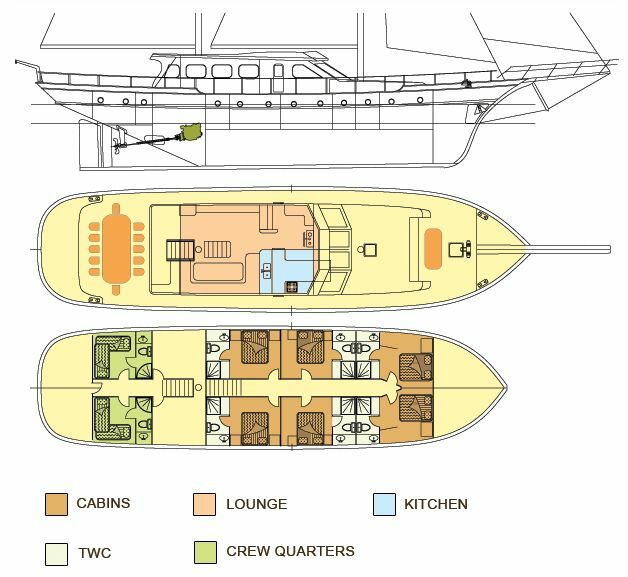 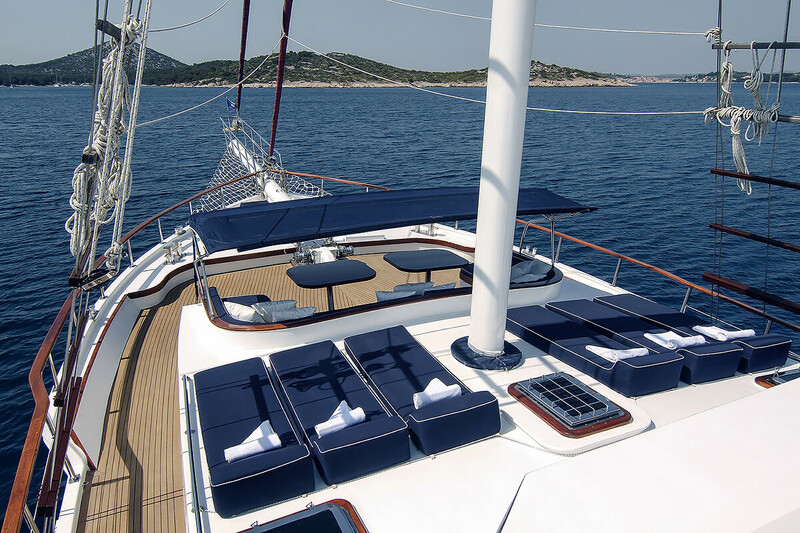 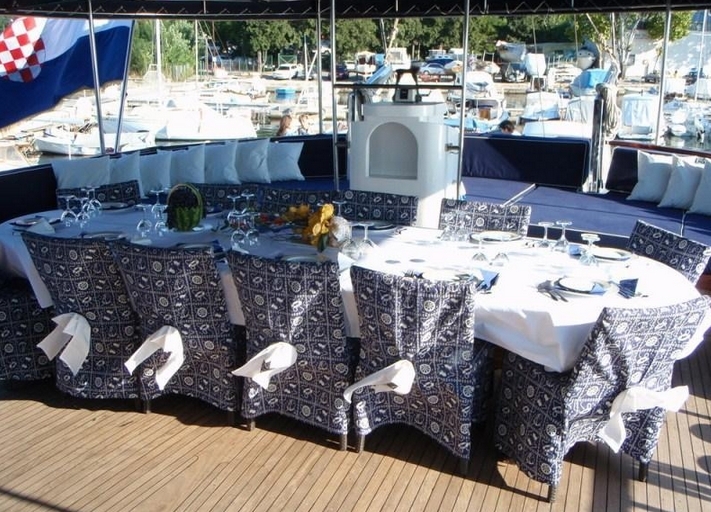 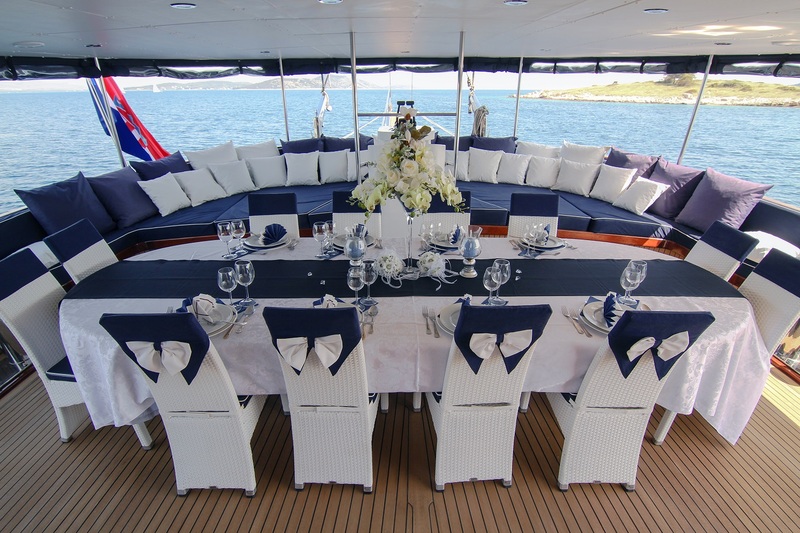 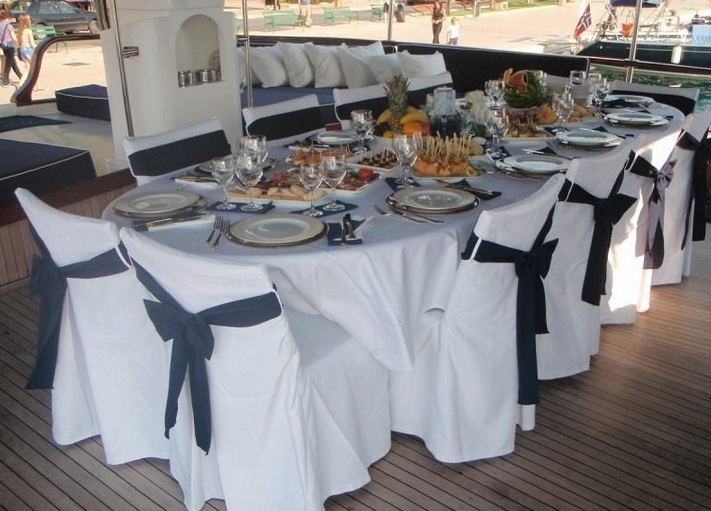 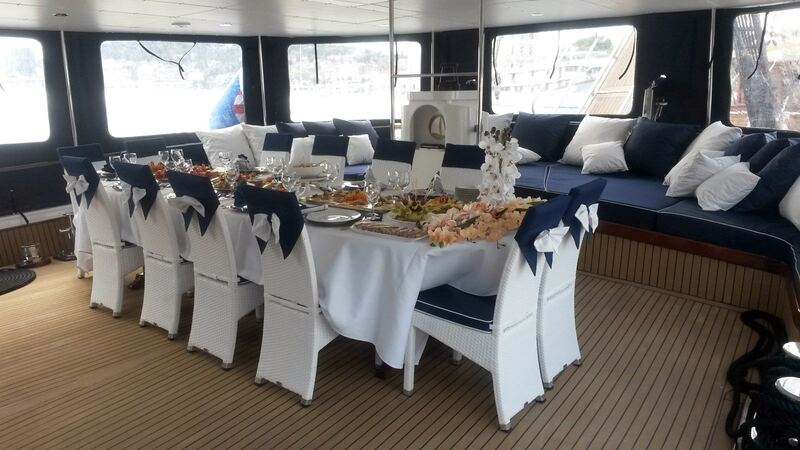 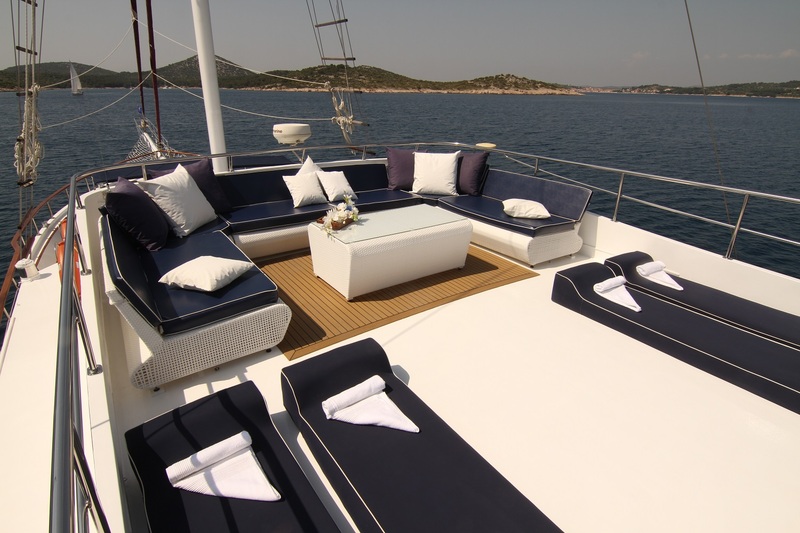 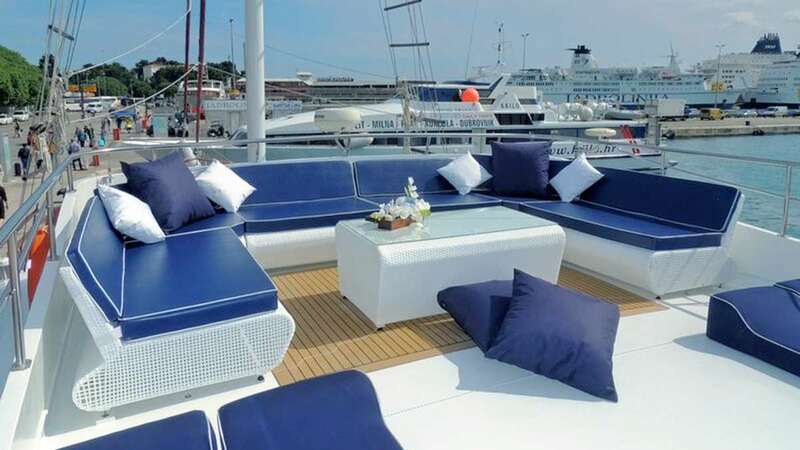 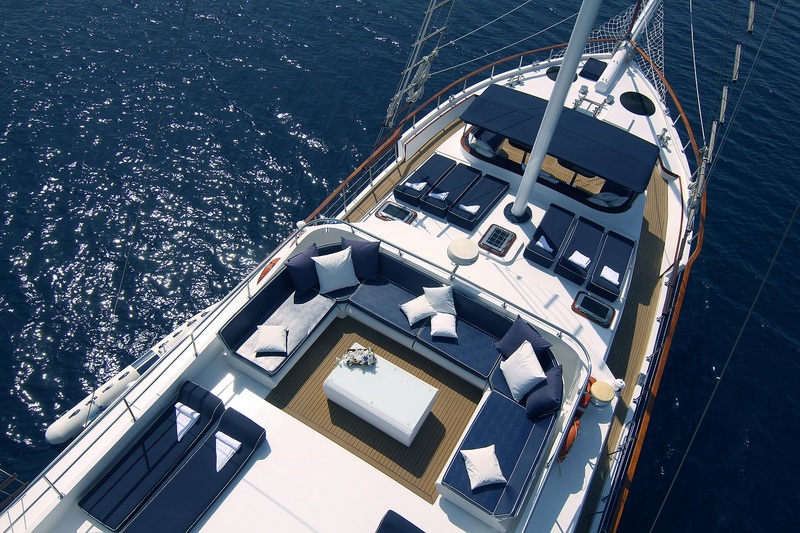 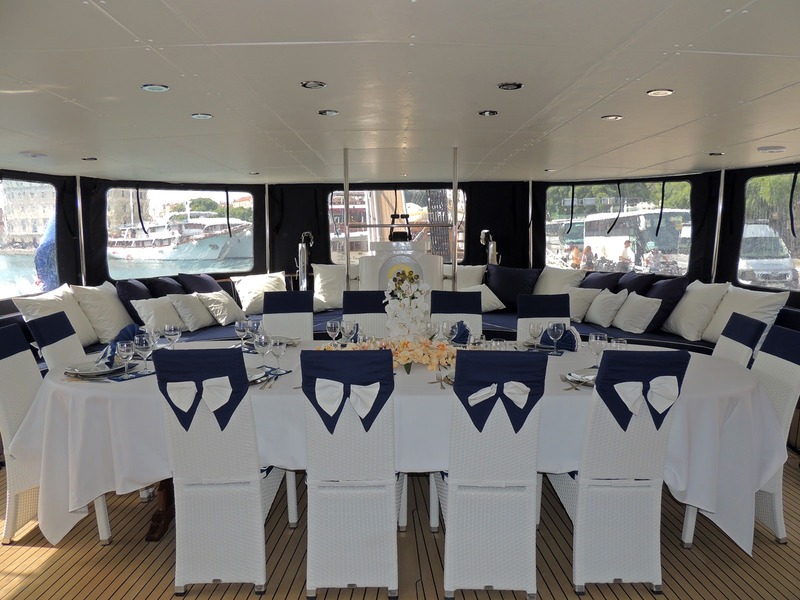 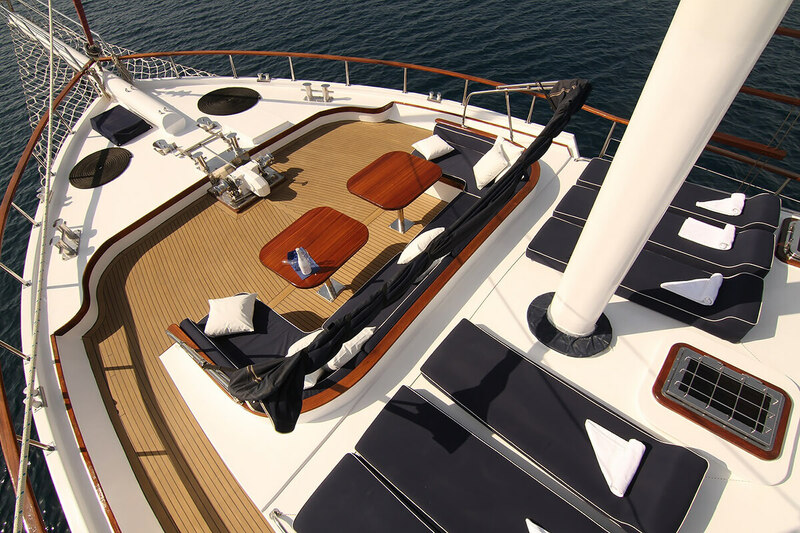 She offers fabulous deck spaces, the aft deck offers an alfresco dining option, a large upholstered seat aft and full beam plus a small cocktail table; forward are sunpads, another alfresco option and plenty of teak decking to relax on, above the decks there is an open fly bridge ideal for sunning with additional sunpads. 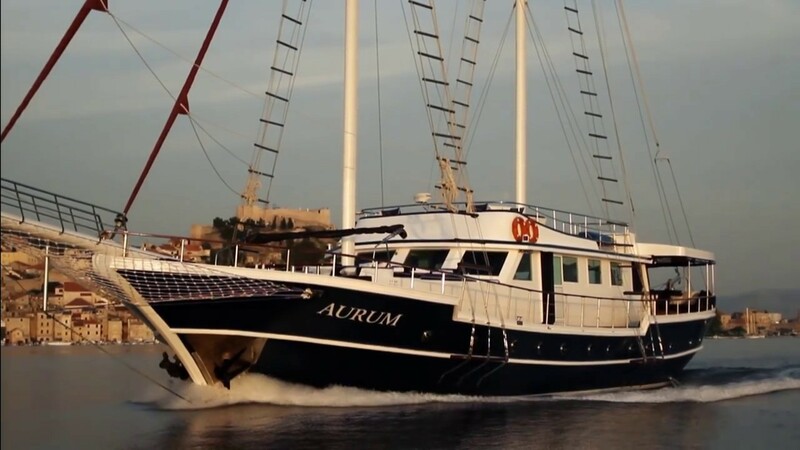 AURUM has a beam of 7 meters (22.9ft) and a draft of 2.6 meters (8.5ft) and cruises at 10 knots with a maximum of 13 knots. 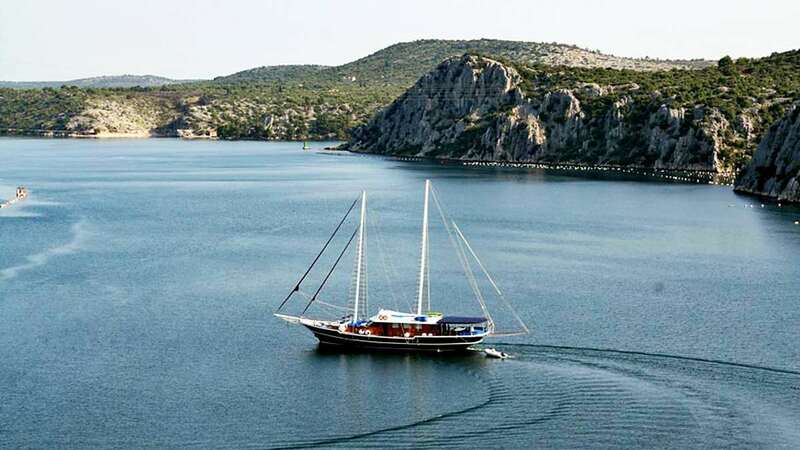 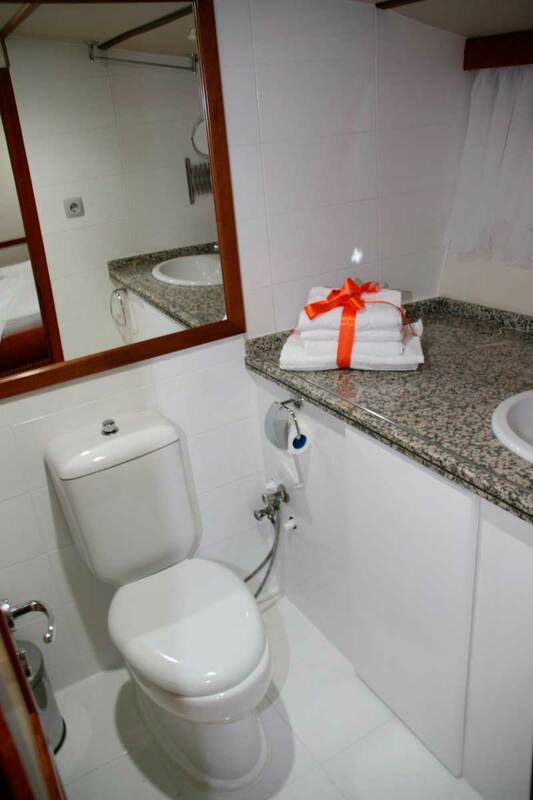 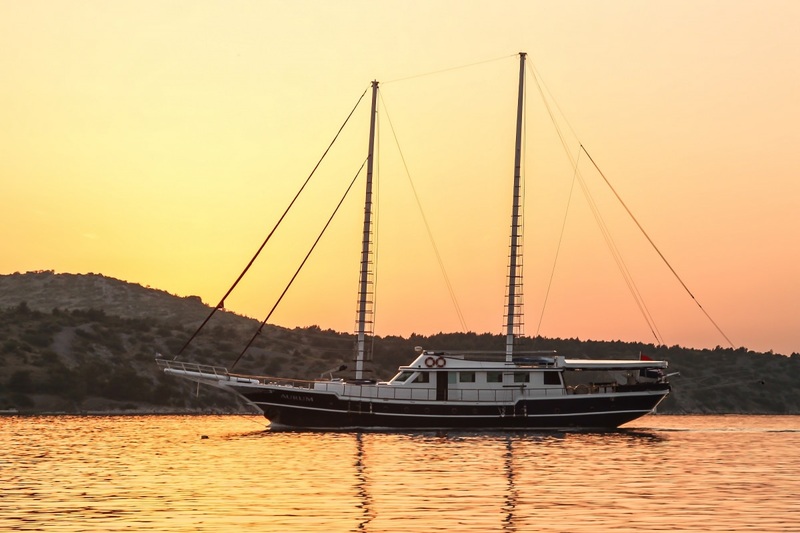 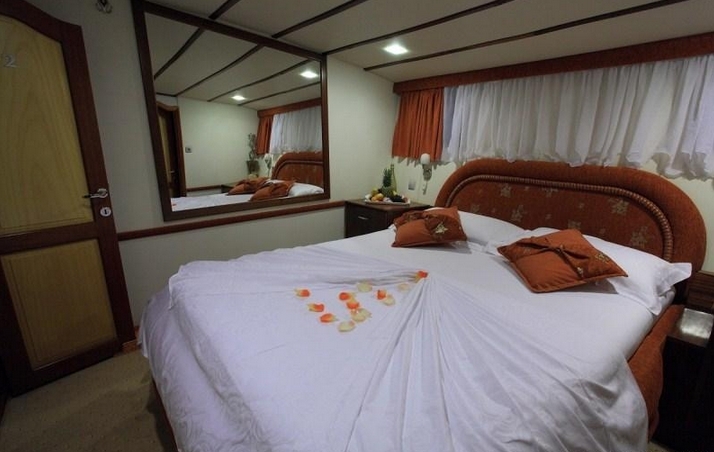 Gulet AURUM offers accommodation for 12 guests in 6 tastefully decorated cabins, all cabins have double beds, full carpeting and en-suite facilities.